POYWE published, together with partners, the Declaration of Principles_Professional Open Youth Work. The document is not a set of top down rules but intended as a tool to make more clear what youth work is and what the underlying values are. It is there to open up discussions. 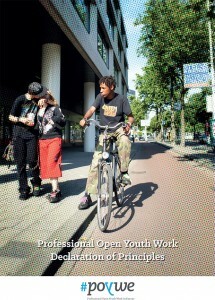 The declaration is one of the outcomes of Mapping Professional Open Youth Work.